On Monday, August 24, 2015, an important new social media record was set: Facebook attracted more than one billion users in one day. One in seven people in the world had used the site on that day! This staggering figure highlights the popularity of Facebook and the potential power of social media. As recently as two years ago, I thought Facebook was a waste of time. I couldn’t see any way it could help me secure travel writing assignments from magazine editors. Even today, based on my experience, Facebook still remains an ineffective way of getting assignments from editors. But, I’ve learned to use Facebook in other ways, despite the fact that it doesn’t directly reap any writing assignments. Social media sites have plenty of other uses and can enhance your image if you’re creative and have a strategy. The two things I like most about Facebook are its’ simplicity and its flexibility—it’s very easy to use (and that’s high praise coming from a luddite like me) and it can be used in many ways. Look through the checklist below to see how you can use Facebook for your professional image or brand. Are you utilizing Facebook as much as you could be? The first and most important way to use Facebook is to establish credibility as a travel writer. When one of your articles is published, let the world know - or at least let all your friends and followers know about it. For online articles, include links to the article. For print articles, post the magazine cover and give a brief summary of your story. Either way, it shows you’re an active writer. 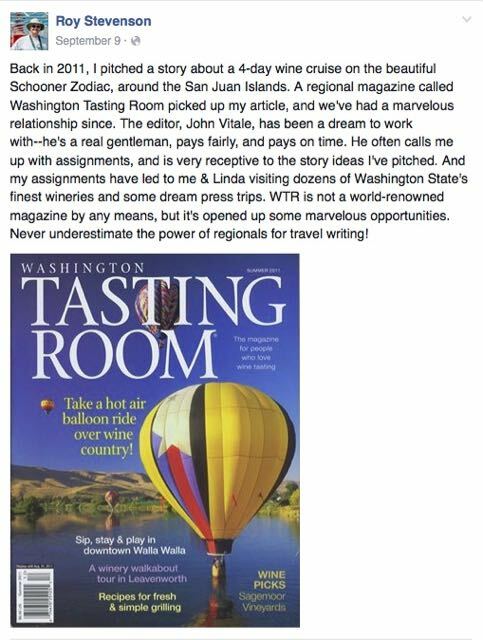 Facebook can be used to establish your bona fides with magazine editors and destination media reps. Use social media to display your travel writing presence. It helps show you’re on the level, and not a fly-by-night, wannabe travel writer. I’ve discovered never to underestimate the power of our image in cementing articles with magazine editors or scoring those excellent press trips. Facebook can help you do this. 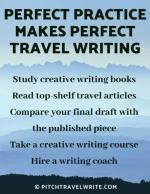 It’s well suited to being your low-key travel writing portfolio or scrapbook. Have a quick flip back through my Facebook site and you’ll see evidence of dozens of my published articles. Editors who are checking me out for a possible assignment find incontrovertible proof here that I’m well published. Many of you already proudly display links to your travel stories, but I know many beginners who hang back from posting their work. There’s no room for false modesty in today’s writing arena. Showing evidence of your work is essential in this hyperactive market. If you can’t show evidence of your writing, how can you expect editors and destination media PR reps to take you seriously? Posting links to articles also drives traffic to the site that published your article so you’re doing your editors a favor, too. You're also boosting readership for the destination or attraction so the CVB benefits as well. When you find well-written travel stories, educational articles and useful products, Facebook is a great way to share links with friends. This isn’t any different than when you talk to friends in person and share information. What’s great about social media is that you can share your experiences and information with a lot more people very efficiently. If you’re attending a workshop or a travel conference, there’s no reason why you shouldn’t announce this. Attending workshops and conferences shows that you’re continually looking to improve and to network—both of which are trademarks of a “get-up-and-go” freelance travel writer. 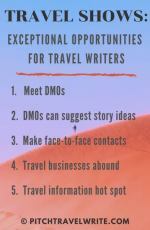 Other travel writers will be interested because they might also be planning to attend, or it informs them of an event they will want to attend in the future. Did you just get your first online article published? Or maybe you succeeded in getting into a glossy print publication. There are many important milestones in a travel writer's life. When you reach different milestones, post them on your Facebook page. I recently posted a nice little story about how I was just about to depart on my 90th press trip. Another post talked about how my 1,000th article was just published, as is my 200th publication. Keep track of your progress and let your friends know when you reach important markers. If you have a travel blog or website, always post a link to your latest and greatest post. Every Monday I link to the latest post on PitchTravelWrite. It's one way for my Facebook friends to read my article and to encourage them to sign up for my weekly e-Zine. I tell my readers a little bit about the article itself. 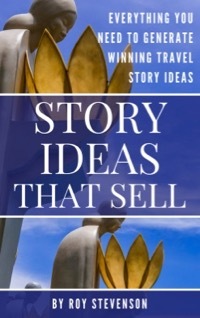 It's usually about some aspect of selling and marketing travel stories - topics that are absolutely critical to our success, yet are grossly underplayed by most of the experts out there. As a result, each week some of my Facebook followers become e-Zine subscribers. Travel writing often comes with travel perks. Why not help promote the places you visit by telling your friends about your press trips. 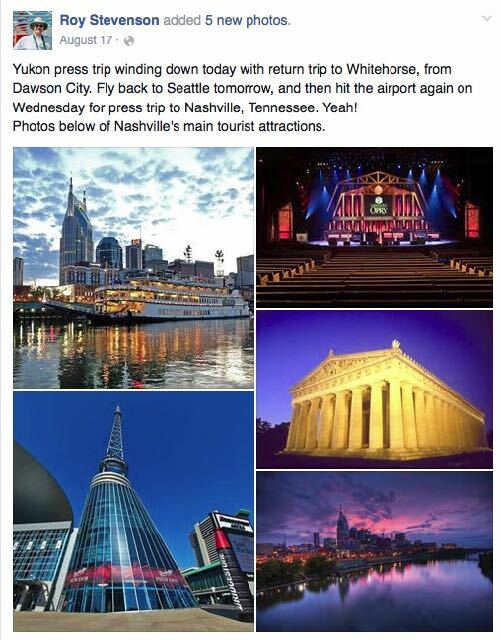 I post day-by-day descriptions of my press trips on Facebook. 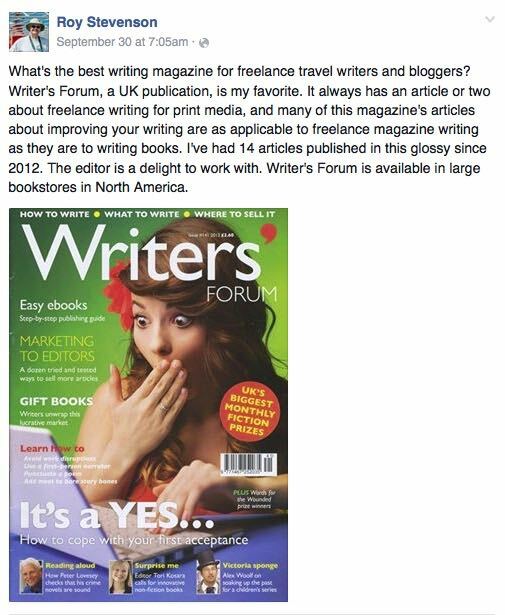 These posts show fellow writers that I do indeed travel, and shows magazine editors that I’m well traveled. I’m also a big believer in helping tourism agencies promote their destinations and hotels and resorts to other travel writers. If tourism media reps are kind enough to sponsor my trip, then the least I can do is help them find other writers who might be interested in visiting their patch. Established writers also get frequent invitations to attend restaurant openings and promotional ‘foodie’ events. I’m always happy to give them some of my Facebook space to help get the word out, while I'm letting my friends know what I'm doing. Many of you have written books, travel guides or have off-line enterprises. Letting people know what you have to offer is a very effective use of social media. 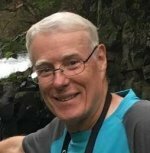 I post announcements about my latest eBooks, and information about my coaching and consulting business. It’s a highly effective way of getting the word out to prospective customers, and telling them where they can find more information. Facebook provides unlimited opportunities to show your followers that you have a personality and (hopefully) a sense of humor. 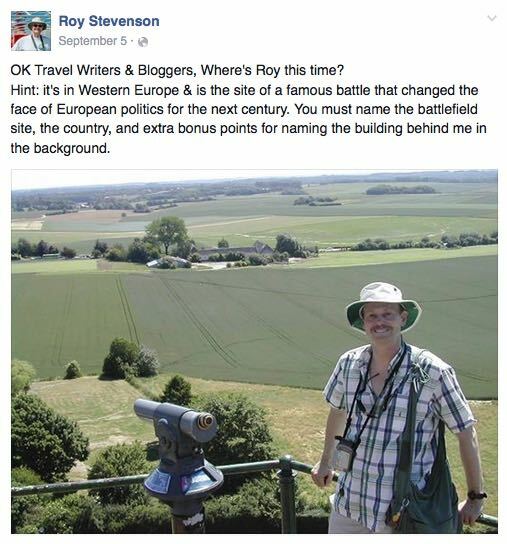 For example, every Saturday I host a ‘Where’s Roy’ post. I share a travel photo from my archives and invite my followers to guess where I am. Many of my friends participate, and leave some amusing comments. And, I’m always surprised by how quickly people guess where I am. Sometimes I even give out prizes! I have truly come to appreciate Facebook’s value as a promotional cornerstone for my writer’s platform. It establishes my credibility as a well-traveled and well-published writer. That credibility will help an editor make up his or her mind when they are considering commissioning one of my stories. 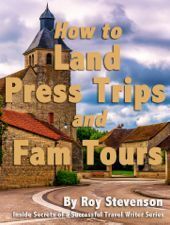 It will also help a CVB decide whether or not to host you on a press trip. Although Facebook will only rarely (if ever) directly snag you a writing assignment for a magazine, a lively and interesting Facebook site does present compelling evidence of your bona fides to editors and destination media reps. Here are some more Facebook tips for travel writers. For those of you active on other social media sites, most of these ideas should translate to other platforms. You can read some related articles below including how Jan Ross, a travel blogger, uses Twitter to work with CVBs for press trips.